Discover out-of-the-way places like Lembert Dome and Nevada Falls Loop. Get in touch with nature at Cathedral Beach Picnic Area and Taft Point. You'll find plenty of places to visit near Yosemite National Park: Lee Vining (Mono Lake Tufa State Natural Reserve & Tioga Rd) and Bridgeport (Travertine Hot Spring & Bodie State Historic Park). Spend the 15th (Mon) exploring nature at Bridalveil Fall. Spend the 26th (Fri) exploring nature at Elizabeth Lake, Yosemite National Park. 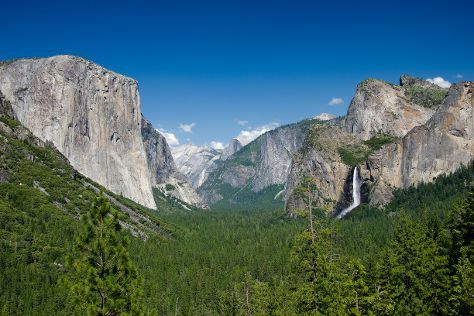 Next up on the itinerary: take in the dramatic natural features at Glacier Point, take some stellar pictures from Tunnel View, explore the activities along Tenaya Lake, and take in the dramatic scenery at Vernal Fall. Planning Yosemite National Park trip won't be overwheling when you use's Insprock itinerary maker. In July in Yosemite National Park, expect temperatures between 83°F during the day and 46°F at night. Finish up your sightseeing early on the 27th (Sat) so you can travel back home.